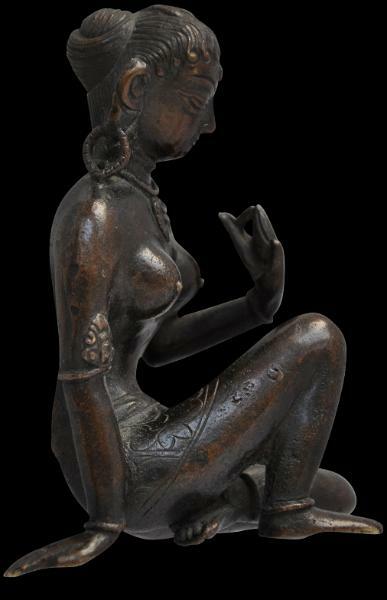 This elegant and unusual bronze shows a pujadevi or female devotee in a half-seated, half-kneeling posture. She is plainly attired in a waist cloth engraved with floral motifs, and wears jewellery that includes hoop earrings, upper arm bands and a prominent pendant necklace. Her hair is pulled to the back of her head and tied in a loose, unadorned bun. 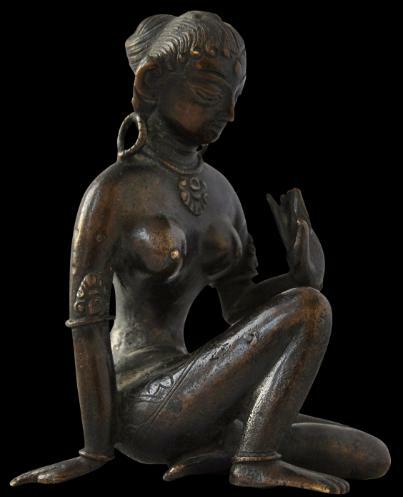 There is a floral of feather decoration in her hair, and a clearly cast puja mark on her forehead. 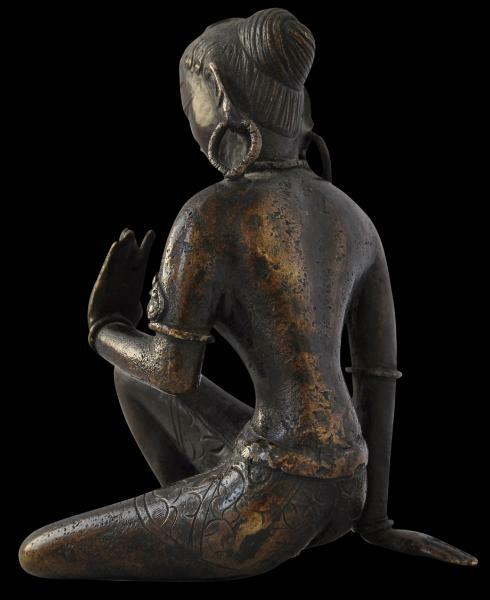 Images such as this example might have been used in Hindu households and temples in Nepal to adorn shrines. pujadevi of similar size and form is in the collection of and currently on display in the Museo Nazionale d’Arte Orientale, Rome, Italy. It is ascribed to the 17th-18th century. Detail: Crucifix stamped to the side of the bowl.